Art deco engagement rings love to snuggle next to an art deco wedding band. 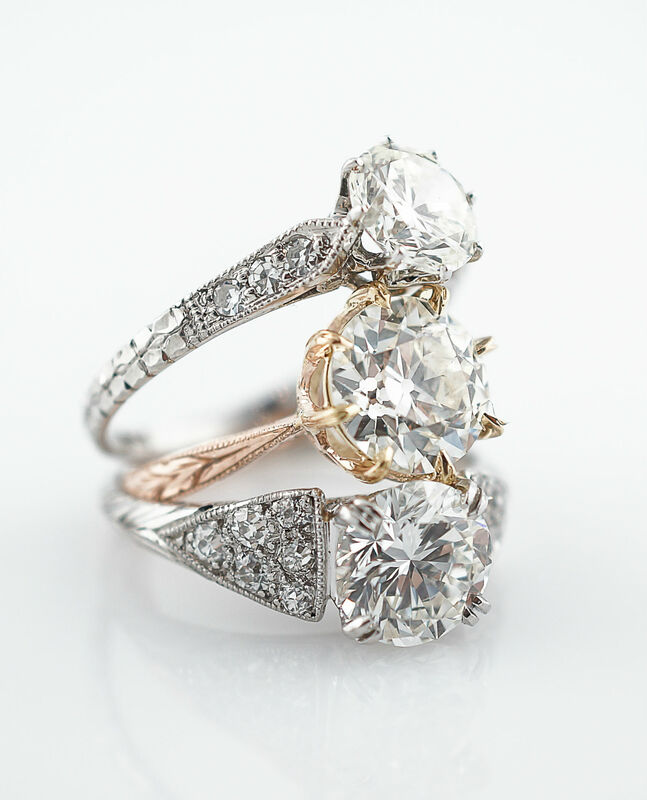 Or maybe your modern engagement ring needs a touch of vintage. 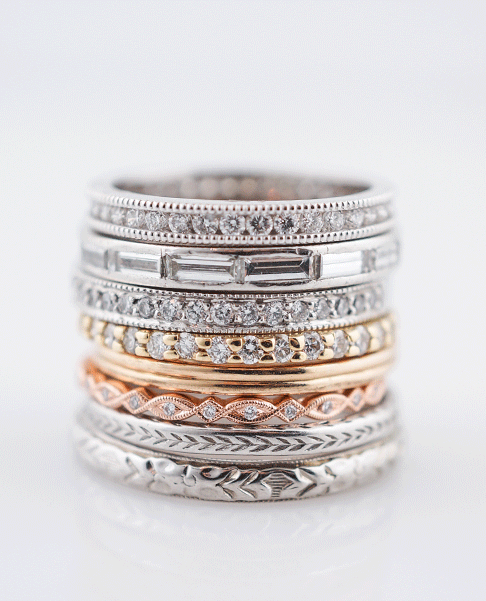 From diamond eternity bands to orange blossom engraved bands, we have them all. 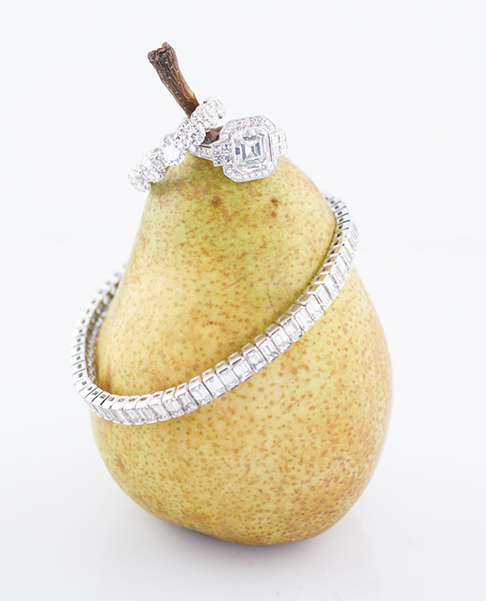 Find the perfect band to complete your period correct wedding set!